​We are a family-owned winery with a rich history of farming grapes in California (since 1924) and crafting superior quality wines (since 1935). We recognize that our family unity provides deep roots and values that keep us on course and focused on long-term growth, not short-term gains for Wall Street. We respect the land and believe that wine quality is derived from superior fruit. We act as long-term stewards of the land we farm. This sustainable philosophy favors natural over manmade controls and encompasses people, properties, practices and production. ​Delicato Family Vineyards offers a portfolio of premium wines from a selection of the most desirable vineyards from notable California wine-growing regions. The winery harvests grapes from Napa, Lodi, Monterey and Sonoma to craft wines that express the diversity of these appellations. The Indelicato family has always understood that wine quality starts in the vineyard, and a vineyard is first and foremost a living thing. Delicato Family Vineyards will always strive to farm with the health of the environment in mind, while still providing quality wines, mindfully farmed and vinified, for our customers. ​The Begin family, Robert, Nadine and daughter Marie-Chantal, opened the doors of friendly hospitality in 1993 upon the completion of a French style three room B&B, winery and vineyard estates. As of July 2003, the B&B’s circle of friends has grown considerably when a 15,000 square foot expansion increased the total units available to eleven. Located on a 65-acre estate on Old Mission Peninsula, in one of the most scenic areas of the Great Lakes, the B&B provides a unique destination that combines vineyards and winery, a bed & breakfast, winding roads, fresh air and kind company. Views of East and West Grand Traverse Bays, Power Island, and rolling vineyards abound from each window. Focusing on Michigan wines, we produce Riesling, Chardonnay, Pinot Grigio, Pinot Noir, Merlot, Cabernet Franc and other varietals. Perhaps even more interesting than the magical story of winemaking is the history of the Chateau’s founding couple, Robert and Nadine. Their fascinating tale begins with two previous careers of service to others. As a Catholic diocesan priest for 12 years, Robert worked in his home area of Detroit until a decision was made in 1972 to begin again as a businessman heading a construction business. Nadine had taken a similar path by entering the Felician Sisters in 1950. After earning her Master’s Degree in Home Economics and teaching for 22 years, she too made a decision to seek a different life. Married in 1974, the couple followed Robert’s dream of building a European style winery chateau. Upon completion and opening of the operation, it was clearly evident that the years spent in service to others had molded the Begin’s into the perfect hosts. Their caring and enthusiastic spirit shines through to every visitor and employee of the Chateau, creating the most special and memorable of visits. While Chateau Chantal was not incorporated until 1991, its history began in December 1983, when Robert and Nadine Begin formed Begin Orchards and purchased 60 acres of cherry orchards on the estate property. Between 1984 and 1991, the Begins cleared much of this land, planted various grapes varieties and purchased additional land. In July 1990, Mr. 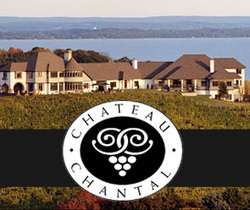 Begin received a Special Use Permit from the Peninsula Township to operate the Chateau. 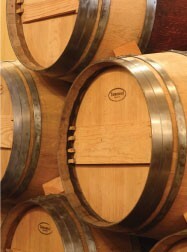 In June 1991, the Company was incorporated and in 1993 construction of the Chateau was completed. July of 2003 saw the completion of the expansion which added eight B&B units to the original three, and a 2,000 sq. ft. Hospitality Room equipped for executive retreats and events.